Manufacturer of a wide range of products which include roller & clutch crimp machine (rc - 2000), gear transmission crimp machine (hf - 2000), gear transmission crimp machine (hf - 5000), gear transmission crimp machine (hf - 8000), battery cable crimp machine (hf - 10000) and splice crimp machine (sc - 2000). 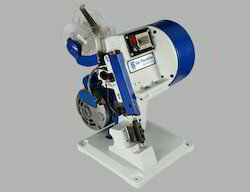 The RC- 2000 is a versatile and powerful bench top roller & clutch meachanism crimping press. This bench top crimping press is designed for maximum ease of use and change over. This unit features an integrated LED lighting source built into the work area and focused on the crimp tooling for optimal visibility. Fine adjustment of crimping height. NOTE: Specifications are subject to change without notice. Exceptions may apply depending on application, wire and other variables. 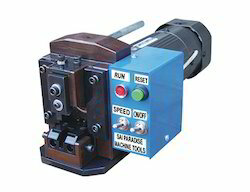 Optional equipment may require standard machine modification and/or later specifications. 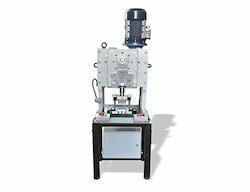 The HF-2000 is a versatile and powerful bench top gear crimping press. This is uniquely designed for optimal ease of use and change over. This bench top crimping press is integrated with LED lighting source built into the work area to focus on the crimp tooling for optimal visibility. 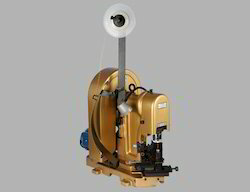 The terminal reel bracket allows for quick change from side to end feed terminal reels. The effective electronic control system operates on 220V 1 phase power. The HF-2000 features both a forward and reverse jog mode for set-up and resetting of the crimping unit. The HF-5000 is a versatile and powerful bench top crimping press. This bench top crimping press has a remarkable design for optimal ease of use and change over. 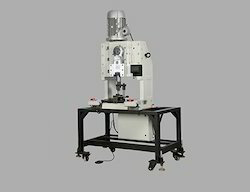 This HF-5000 machine has unique feature having an integrated LED lighting source built into the work area, which focuses on the crimp tooling for clear optimum visibility. The terminal reel bracket allows for quick change from side to end feed terminal reels. The HF-5000 also includes a standard pneumatic feed kit for operation of air-feed applicator. The HF-8000 is a versatile and powerful bench top crimping press. This dynamic bench top crimping press is uniquely designed for optimal ease of use and change over. This HF-8000 unit features an integrated LED lighting source built into the work area and focused on the crimp tooling for optimal visibility. The terminal reel bracket allows for quick change from side to end feed terminal reels. The HF-8000 also includes a standard pneumatic feed kit for operation of air-feed applicator. The HF-10000 Crimping Press has been specifically designed to crimp very big-section wires. It also handles battery cables processes upto the pressure of 10 tons and above. Its design capabilities are unique and built for optimal ease of use and changeover. This HF-10000 is a versatile powerful crimping press and comes with the robust mounting table assembly in the plug-and-use manner. This HF-10000 is also integrated with unique features like LED lighting source built into the work area which focuses precisely on the crimp tooling for maximum visibility. 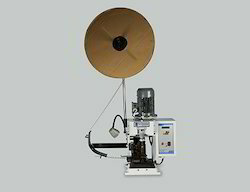 Its terminal reel bracket allows for quick change from side to end feed terminal reels. The HF-10000 also comes with a standard pneumatic feed kit for operation of air-feed applicator. The efficient electronic control operates on 220V single phase power; and it features both a forward and reverse jog mode for set-up and resetting of the crimping unit. Input Voltage: 440V, 6A, 50/60 Hz, 3ph. Input Voltage 440V, 6A, 50/60 Hz, 3ph.